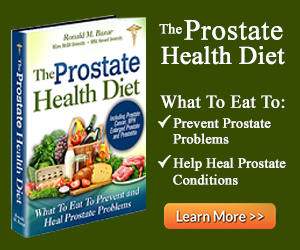 Natural prostate remedies are far safer to take than prostate drugs and medicines. 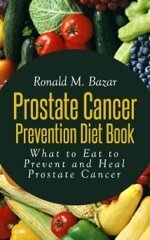 Despite the smiling faces in the ads promising instant nirvana from your prostate symptoms, natural prostate remedies can often take a while to work. Furthermore some of the ingredients in the mixtures may not be beneficial to all men and you could start having negative reactions to them. I talk a lot about this in my book. The only way to truly know whether any drug or supplement is beneficial to you is to personally test the product using one of the many methods I teach you in the book. If you suffer from an extreme prostate condition, then this is an essential skill to have, in my opinion. Personal testing has saved me many times from triggers that caused me to shut down completely, thus requiring using a catheter; at other times it caused extremely frequent urination. And sometimes this was from top quality natural prostate remedies. 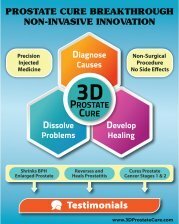 Choose the highest quality natural prostate remedies you can find and test often while using to ensure that it is still useful to you. Remember time changes the results as your body adapts. The reality is that it takes a commitment of time and effort to heal your prostate. There just aren't any magic bullets and quick fixes. It takes making your health and healing one of your primary goals in life. The benefits are huge as you finally remove years of abuse to your body by cleansing (see my book), optimizing your diet, learning how to test for what foods and supplements are best for you and what to avoid. This way you give your body a chance to renew. 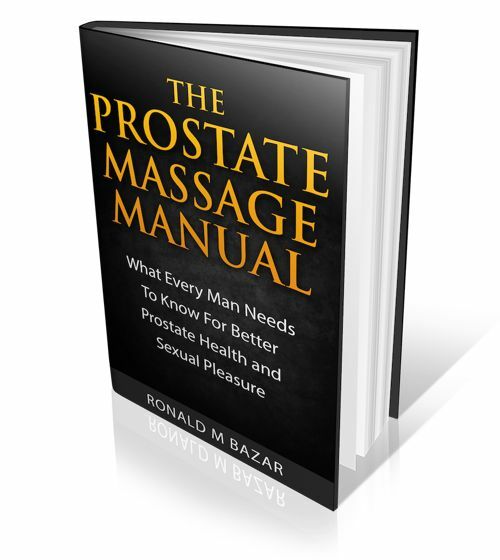 You gain your sexual health, your physical health and your prostate gets better and better. 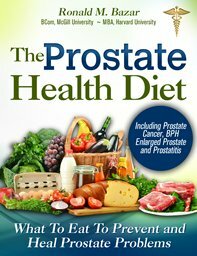 For me natural prostate health and healing is the the way to go. No magic bullets just the welcome change to a much healthier condition. During my healing journey, I used my tongue for feedback for how I was doing. The tongue is the gateway to your whole digestive system and reflects back to you every morning after digestion of the prior day's food how you are doing. As my diet improved and once I learned to avoid trigger foods and some supplements through personal testing, my tongue reflected back to me how I was doing. It took a while to figure out what to do, but I started to see results both on my tongue and in my prostate. Now most mornings my tongue is nice and pink. I use a tongue scraper to remove coatings which a toothbrush just cannot do. Tongue scraping has been done for centuries and is a simple practice to adopt. Your digestive system is the key to your health. Proper diet, digestive enzymes, fermented foods like yogurt and sauerkraut are essential for proper gut health. Doing the liver cleanse will heap immensely by making your liver able to release enough bile for digestion. This week I stumbled across a new book that goes into a great explanation of your tongue and its relation to your health. Click Here! You will be amazed! Get healthy. Make the effort. Your health is in your hands not your doctor's! If you are relatively healthy and have only minor symptoms, you may not have any negative reactions to broad-spectrum natural prostate remedies and supplements. If you have a more serious condition, then a simpler version or single herb may be the way to go. Some men get relief using just Saw Palmetto. Trust your personal test results (see my book to learn how to do it) no matter how incredible the fancy marketing brochures appear! What works for you will be unique to you. Remember retest often because most herbs are exogenous and will loose their effects over time. I have often had negative reactions to some of the best remedies out there. Remember I spent over $100,000 on prostate health supplements over the decade. Just because the literature says they are great does not mean they are for an extended time period, or for you! I used to take a ton of natural supplements every day following the advice of many natural health practitioners, sometimes as many as 30- 35 different ones per day! In the end I realized that I was getting worse and it was costing an arm and a leg to boot! Now that I know how to personally test, I have dropped down to 1-2 supplements per day. All the other supplements keep giving me a NO test response, and these are the highest quality organic ones I could find with wonderfully convincing research and more as to why I should take them, including all kinds of antioxidants. ... Natural vitamin D3 supplements, but this is nowhere near as good as cod liver oil, which has been time tested over thousands of years. When buying any vitamin D, make sure that you’re getting Vitamin D3 (cholecalciferol), not D2, an inactive form of Vitamin D.
D2 is about 10 times less effective because it is difficult for the body to absorb and use. Vitamin D3 is fat-soluble, so it is best to take it with some fat or oily food. That’s why cod liver oil is so effective! Beta sitosterol or saw palmetto? Some claim the whole herb is the best way to go, while others suggest you take the active ingredient in it, as that is more potent. There can be a world of difference between a whole herb like Organic Saw Palmetto, and an isolated and concentrated nutrient taken from it, like Beta Sitosterol, which often gets promoted as way more potent than the herb itself. "Synthetically produced phytochemicals, or nutrients used as pharmaceuticals, do not have the same action as those naturally occurring in the whole food." Soy Isoflavones... Mixed reviews on this one as with soy in general with some saying it is essential for prostate health and others say to avoid. Test and you will know. I always get a No.